Happy Earth Day! It’s no secret, going green is an initiative that should be everyone’s prerogative to insure that the beautiful of the Earth (and the High Country) stick around for future generations. Being green doesn’t necessarily mean you have to install solar panels on your roof or never take showers. 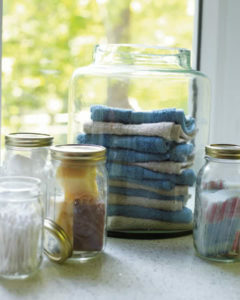 There are so many simple and cheap ways you can be eco-friendly in your home every day. Here are 8 minor lifestyle changes that can make a big impact on the environment! 1. Give up bottled water. Nearly 30 billion plastic water bottles are sold annually in the U.S. with less than 20% of them being recycled (and even recycling them wastes unnecessary energy). Instead, fill up a reusable stainless steel water bottle with filtered water from a filtered tap or filtered water pitcher that you can store in the refrigerator. Click Here to buy a Brita® filtered water pitcher for only $27! Stainless steel reusable water bottles last longer than plastic ones. 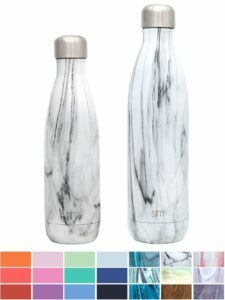 Check out these stainless steel water bottles that come in unique colors and designs. 2. Recycle! Not sure what’s recyclable and what’s not? Click here to check out this helpful list. Many services offer residential trash and recycling pick up. Vixster here in the High Country collects trash and recycling from your home and you don’t even have to roll your bin out to the street! 3. Use cloth napkins instead of paper napkins at dinner. Soiled paper products are not recyclable and cloth napkins are reusable! Click here for a 12-pack for only $15! 4. Ditch the plastic straw! The Last Plastic Straw is a project of Plastic Pollution Coalition. Over 500,000,000 plastic straws are used each day in the United States. These short-lived tools are usually dropped into a garbage can with no further thought, instantly becoming a source of plastic pollution. 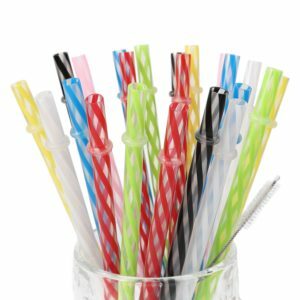 Check out these BPA-free reusable straws that you can store in your car for fast food drinks and use at home instead of plastic! 5. Use reusable grocery bags when you go the grocery store. Click here for a pack of 10 large colorful ones for $18. 7. Re-purpose glass jars to use for leftovers, gifts, as decorations, and more! 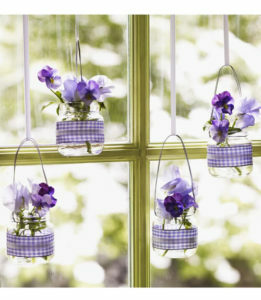 Click here to check out “50 Ways to Re-purpose and Reuse Glass Jars”. 8. Shop local at your local farmers’ market! Industrial farms use more resources than small, sustainable farms and pollute water, land, and air with toxic agricultural by-products. Click here to find a farmers’ market near you. Our local Watuaga County Farmers’ Market right in Boone takes place May-October on Saturdays from 8 am to noon. In addition to quality produce from local growers, this farmers’ market also features farm-based crafts from local artists! Incorporating these green alternatives in your everyday life is a great start! For even more ways to go green click here!